If you've always fancied wielding your Wiimote as a lightsabre, then you'd better head up to Nottingham on Friday 26 October . 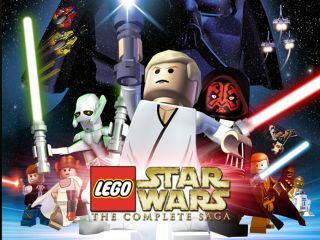 For making its debut at the city's GameCity festival is LucasArts' eagerly anticipated Lego Star Wars: The Complete Saga - the game than turns even the most casual Star Wars fan into a Jedi master. "Since the first film's debut 30 years ago, fans have longed for the day when they could fight their own lightsaber duels," GameCity said in a press statement. "Now, thanks to the Wii's motion-sensitive controller, The Complete Saga will finally make that fantasy a reality, allowing players to battle with thrusts and slices of the Remote." The GameCity festival runs from Wednesday 24th to Sunday 28 October.